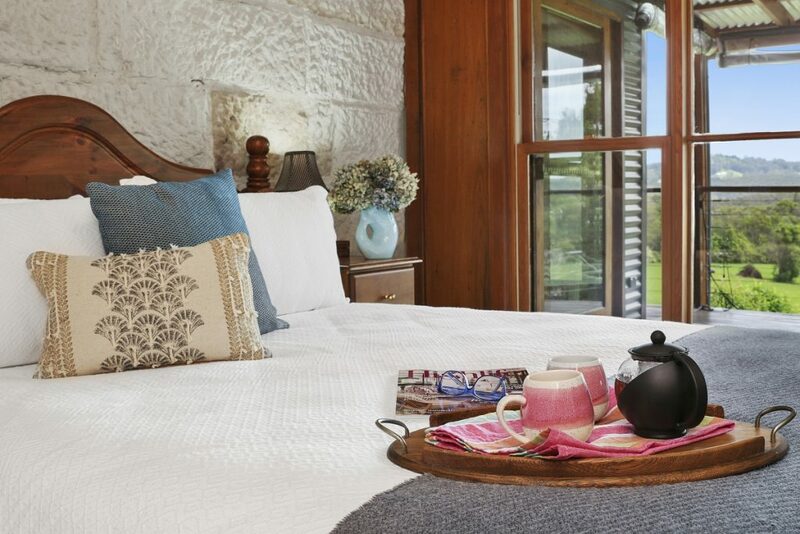 Christopher’s Cottage is the quintessential mountains retreat, offering that feel of total relaxation while being right in the centre of Bilpin. 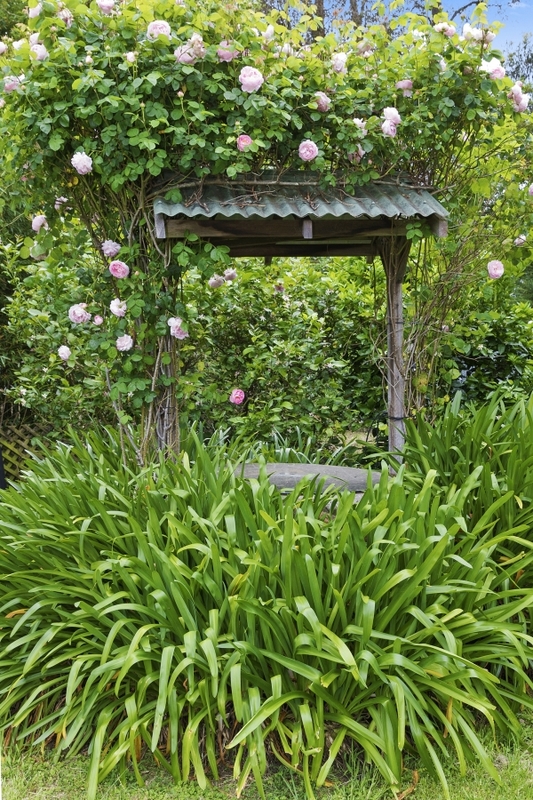 Walk to pick your own orchards, cellar doors and the Bilpin Saturday market. 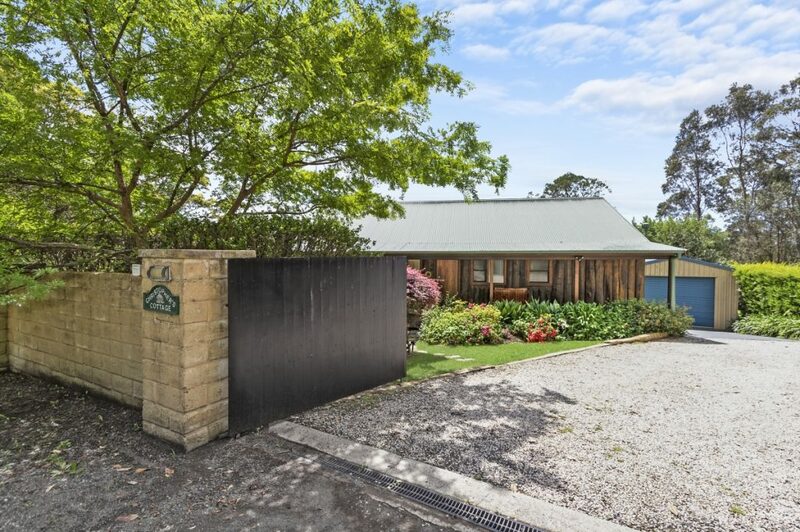 A short drive to wedding venues such as Chapel Hill, Bilpin Resort and Mt Tomah gardens. 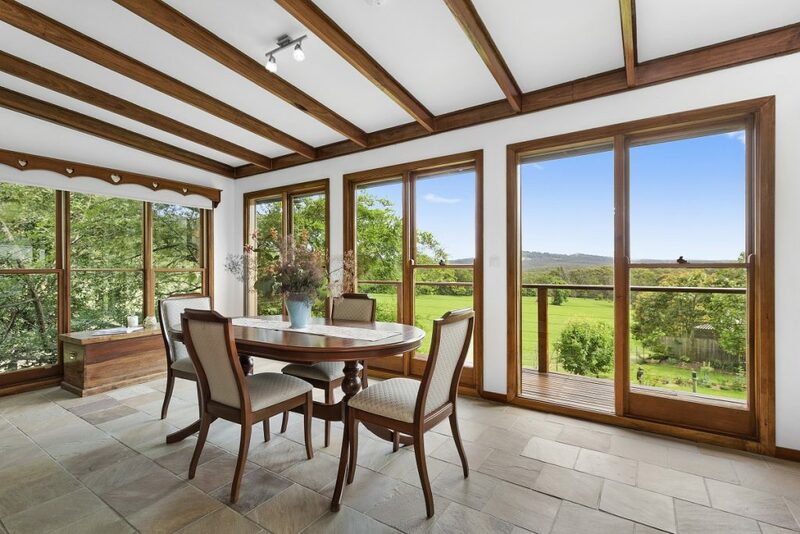 The Cottage is constructed of solid Australian Hardwood timber, using local sandstone as features through out. 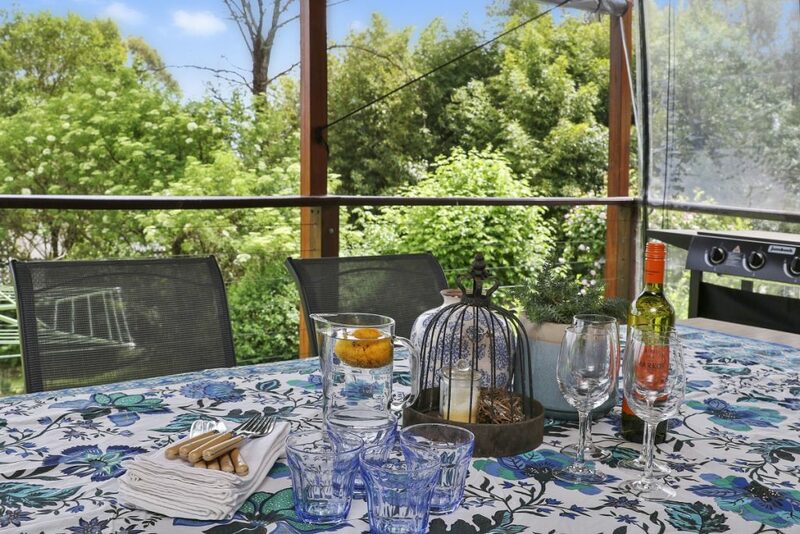 The ideal accommodation destination for couple’s or small groups up to 4 guests. 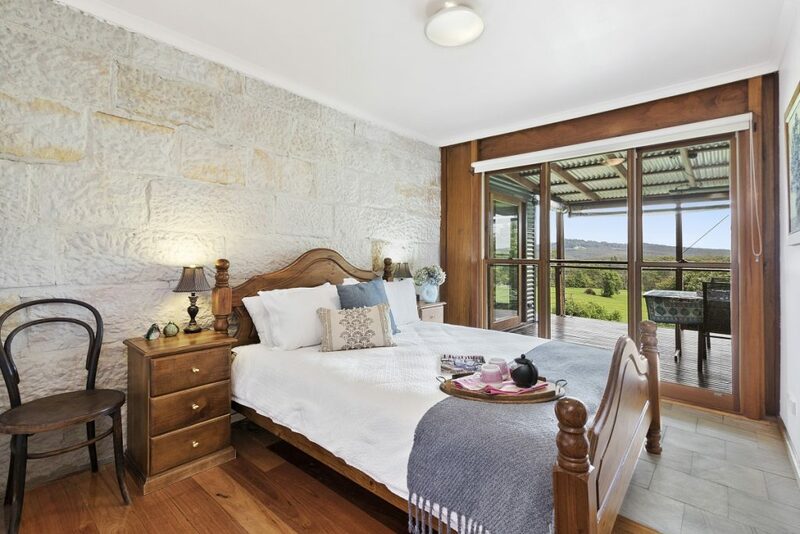 Beautiful timber floors and features, soaring sandstone feature wall. 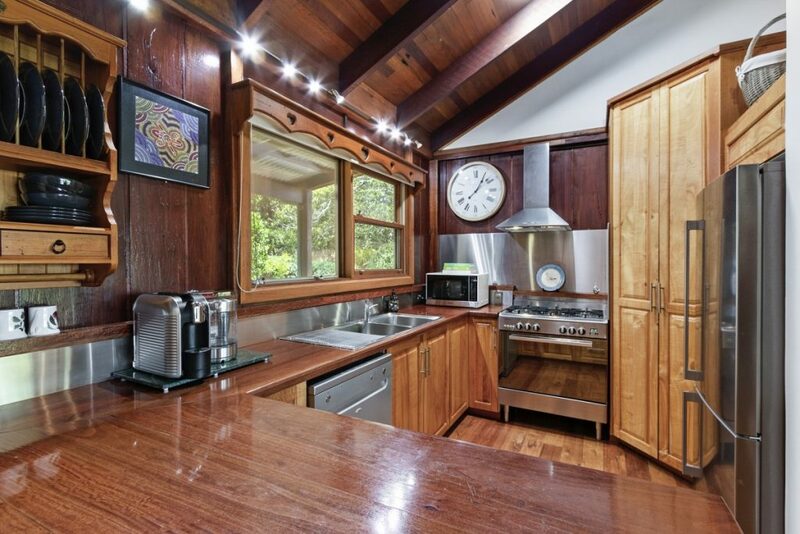 Modern well equipped kitchen with dishwasher and coffee machine. 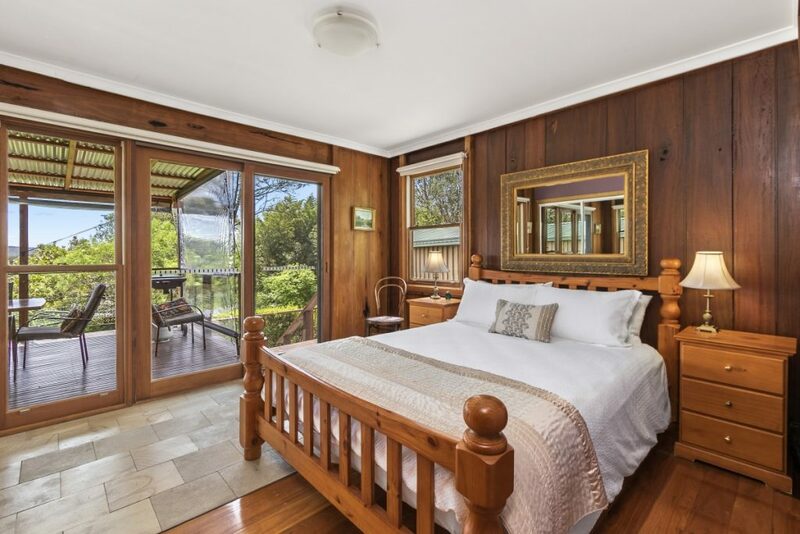 Two spacious bedrooms with quality bedding and built in robes, both with garden and mountain views. 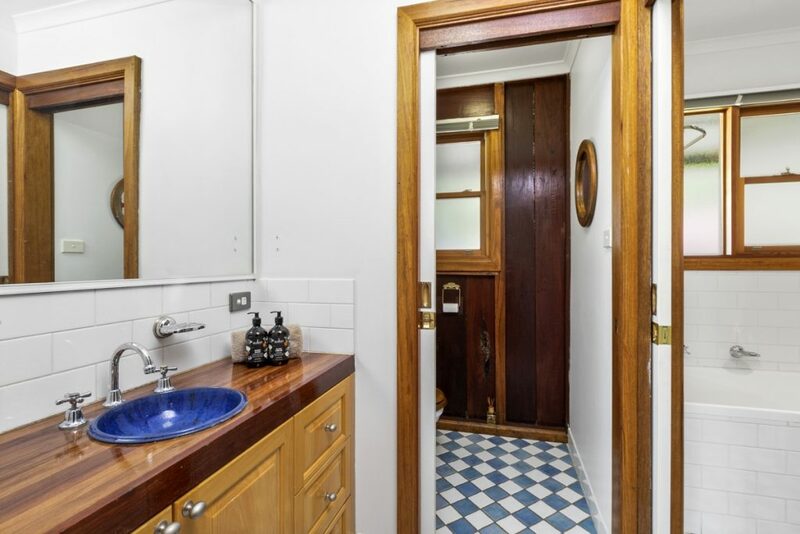 Country style bathroom plus separate toilet. 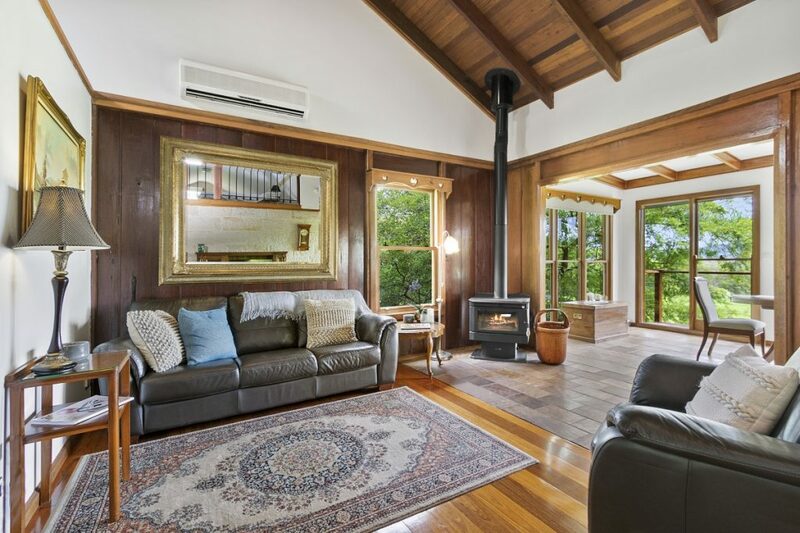 Generous living areas with great views, comfortably furnished with combustion fire for those cool evenings and reverse cycle air-conditioning. 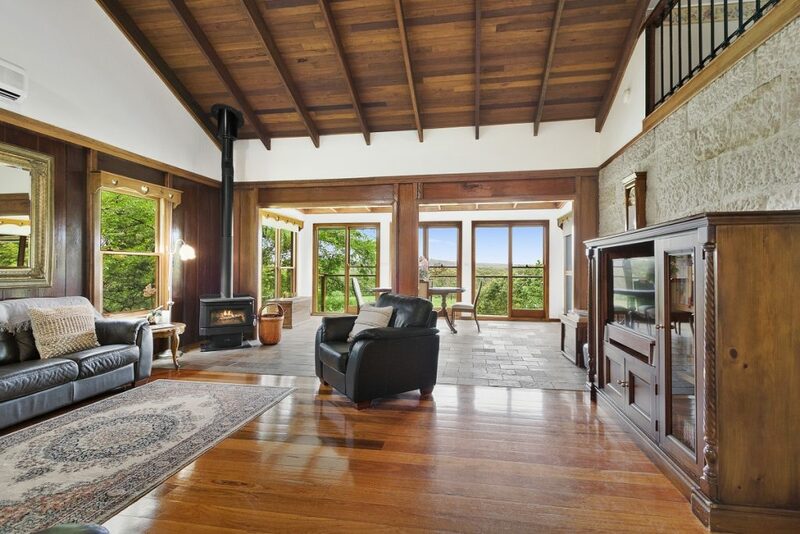 Living room spilling to covered outdoor entertaining deck with fabulous vistas across grazing land towards Mt Tootie. 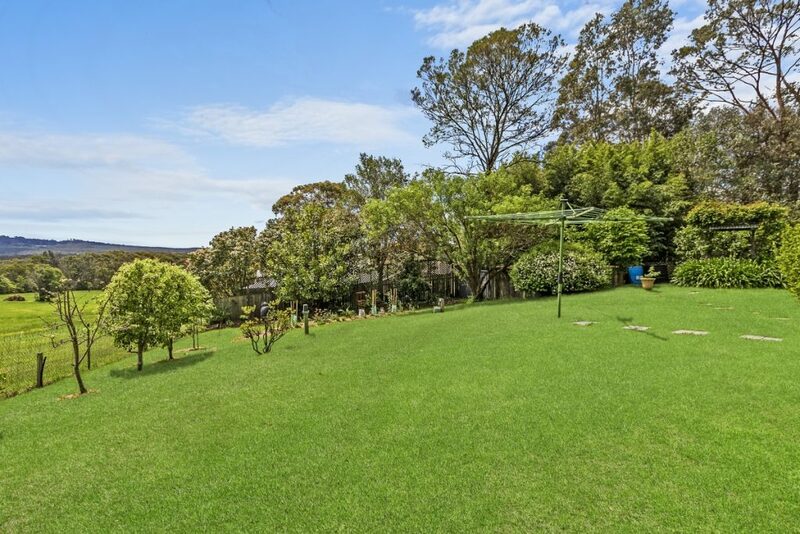 Secure fully fenced yard with pretty cool climate gardens. Parking for two cars inside grounds. 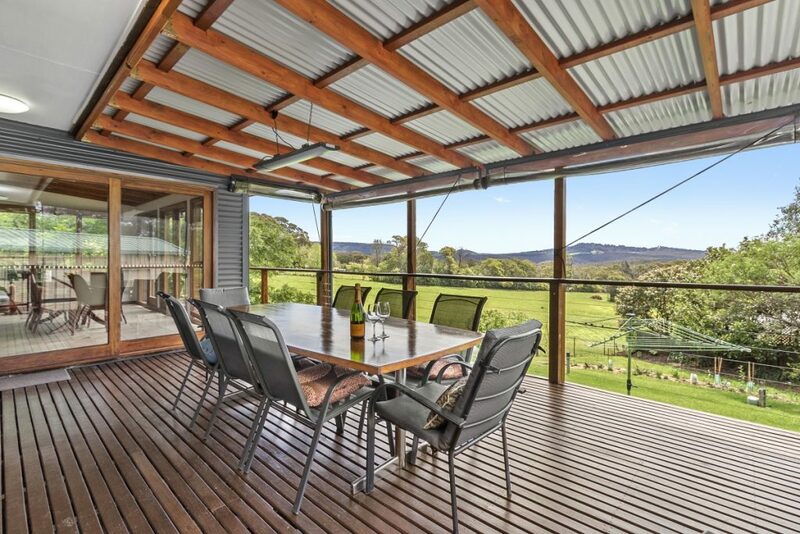 Rear covered deck is gated of to allow pets to be kept secure should you wish to go out. 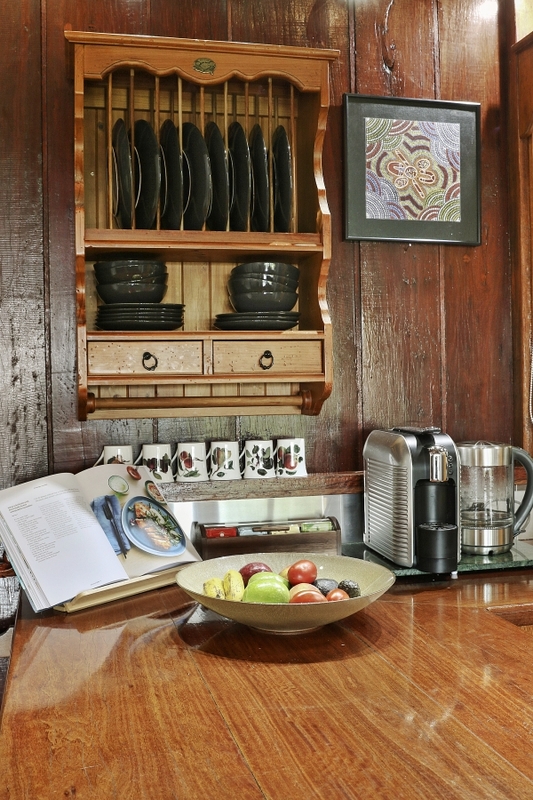 #Christopher’s Cottage is pet friendly upon application. # No Parties, functions or gatherings permitted.